Absolutely unexpectedly at that. 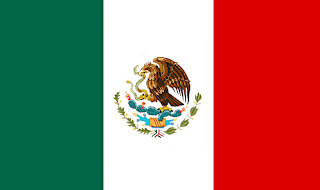 Of course my papers have been processed for several months but I only went to get a paper from the federal police in the morning, and they were surprisingly efficient and gave it to me within minutes and (after some begging and pleading with the department director) EXACTLY as I needed it. Having some time on my hands I decided to take it straight to the Ministry of Foreign Affairs where I immediately found the lawyer in charge of my case who very kindly took it to the back to be added to the file. And shortly he re-emerged with my Letter of Naturalization signed and all!! Sometimes stars align just perfectly and everything you touch turns gold. I think it is the first day like that ever in my life. Sure, there are some clouds in this sunny sky but I rather not think about those right now. Right now I am simply enjoying the fruits of my labour and perseverance. There's gonna be a BIG party this weekend!!!! Yet, despite temperatures as low as +5C at night, we are trying to take a daily walk, thank God the neighbourhood allows, and enjoy the city without its infinite rush and buzzle,.. I even discovered any tea-lover's paradise - "Teavana"! Extremely, outrageously, overpriced,- 350 pesos for 3 ounces (that's about 20 dollars per 100 gr) but not too many people here drink tea habitually, and after years of horrible bagged tea, I saw shelves and shelves filled with jars of any tea imaginable.. I felt on cloud nine :) Plus that frozen yoghurt place next door to it!... mmmm - heaven. If you, like me, sometimes wonder if you've chosen the right career path or still haven't decided for sure, here you can try out this free Jung Typology Test. P.S. It's just that sometimes I get tired of people! Suppose, many of us immigrants find ourselves in this situation: we live in our new country for quite a while, and start feeling attached to it, as a new home, we care more and more about what is going on there, have our opinions... still, when it comes to voicing them... it's becoming more complicated because the reaction of the people you talk to may vary from "yeah, you are right... (you superiour, high-horse riding brat!..) I feel that way too..." to outright "well, if you hate it so much here, so why don't you go back home?!".. What they don't understand is that there's not much to go back to. I am not an expat, I am not here just to work for a few years for my company and then return with more money in my pocket. The decision to move was made consiously (well, sort of..) and for good reasons (kinda..), and most bridges are long burnt. No one knows how life will change in a few years, but for now it is my home and my heart is bleeding for everything that is wrong with it. Maybe I am imagining things? I was taught to never impose my point of view on anybody or hurt anyone's feelings, so I might be too sensitive about it. How do you deal with it? And our hosts, what is your reaction when someone points out the problems in your country that you are very aware of yourselves? Today is another important day in Mexican tradition and, as always, it has a lot to do with food :) On Jan 6, El Día de Reyes, everyone (but me - glup glup) shared a Rosca de Reyes, a delicious sweet bread that came to Mexico from Spain. But it is not all that simple with Rosca here... When they are baked, a tiny toy Jesus is hidden in the dough, and the one "lucky" to get it, has the commitment of offering tamales and atole to everyone present at the table, on Feb, 2.. Tamal is a prehispanic calorie-packed dish of crushed corn with an infinite variety of fillings wrapped and cooked in corn leaves. 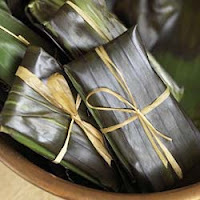 Another famous variety that comes from the state of Oaxaca is basically the same thing but wrapped in banana tree leaves. Elaboration process is rather complicated and time-consuming, but you can find them sold almost on every corner - it is one of the most common and easily-available snacks, and very cheap too! 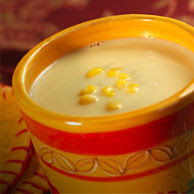 Atole is a drink that usually goes with tamales. Its base is corn as well - corn flour, and it can have any taste you want - from plain vanilla to mango.